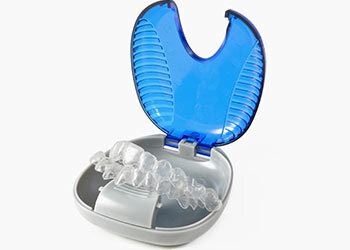 When you wake up in the mornings you should remove your Invisalign braces and clean them, and your teeth, really well. Bacteria accumulate in the mouth when we are asleep, so your mouth needs to be thoroughly cleaned when you wake up. Rinse your trays well to prevent the build up of plaque and saliva. Your dentist may recommend you use anti-bacterial soap to keep your trays clean. Remember that Invisalign braces should be clear so keep brushing until any visible debris is removed. Use a soft toothbrush to brush your Invisalign braces to remove any visible debris. Soaking the aligners is the best method for how to clean Invisalign. Use Invisalign crystals for best results, and keep a separate toothbrush for your trays. Do not use the same toothbrush that you use to clean your teeth. After soaking your Invisalign give them a soft brush to remove any food particles or debris and then rinse them before putting them back into your mouth. While you are waiting for your Invisalign trays to soak brush your teeth with a soft bristled toothbrush and floss. If you do not clear your teeth properly, you effectively trap the food particles against your teeth and this can lead to the development of cavities later on. Exposing your Invisalign trays to the air also means they are exposed to more bacteria. If they are not in your mouth, put your Invisalign trays back into their case. If you do leave them in the air for some time remember to rinse them again before putting them back into your mouth. Think two weeks ahead always so that you have your next set ready and you are not left without a plan on how to clean Invisalign. This is especially important if you are going to be traveling. When possible have a spare set too, even if it is your old set. If you are travelling keep your Invisalign in your carry-on luggage in case your baggage is left behind. You can drink water with your Invisalign in your mouth but they need to be removed for anything else. The trays have not been designed to wear for chewing and it is easy for them to be damaged if they are kept in the mouth while you eat. Also remember that food and drink particles can stain your Invisalign trays. Get into the habit of removing them every time you sit down at the table. Toothpaste is important for cleaning your teeth but it can actually cause your trays to discolour, leading to damage. 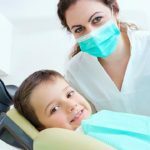 Toothpaste may also make the trays more noticeable, by making them shinier, which defeats the purpose of Invisalign, and any abrasives can cause damage. Don’t use any other scented or coloured substances that can stain or discolour your Invisalign braces. 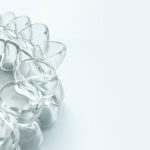 Still have questions about how to clean Invisalign or what you can expect from Invisalign treatment? Contact Smile Gallery Dental today and start smiling with confidence again: (03) 8658 2182 .